The village of Ropley in Hampshire covers an area of about 10 square miles on the western slopes of a ridge that runs south to north and divides the basin of the Wey and Meon rivers from the Arle and the Itchen. It’s one of the most attractive villages surrounding the market town of Alresford, itself generally seen as one of the finest Georgian towns in the south of England. There are approximately 600 homes and 1630 inhabitants, scattered widely around the lanes that meander through the rolling countryside. 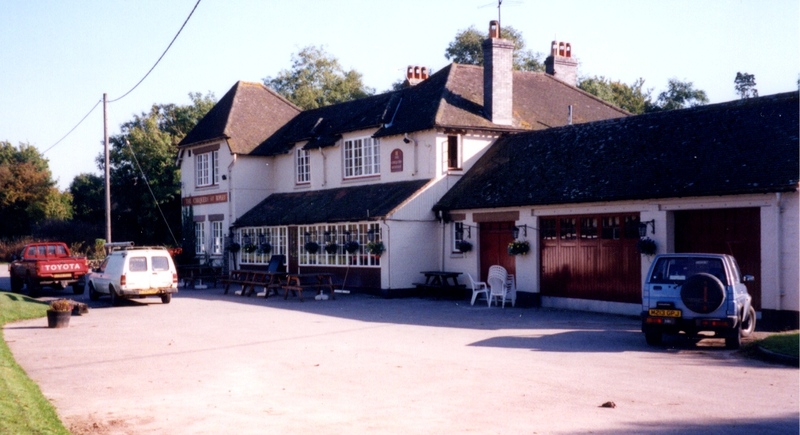 The Chequers Pub — now the motor vehicle is king! 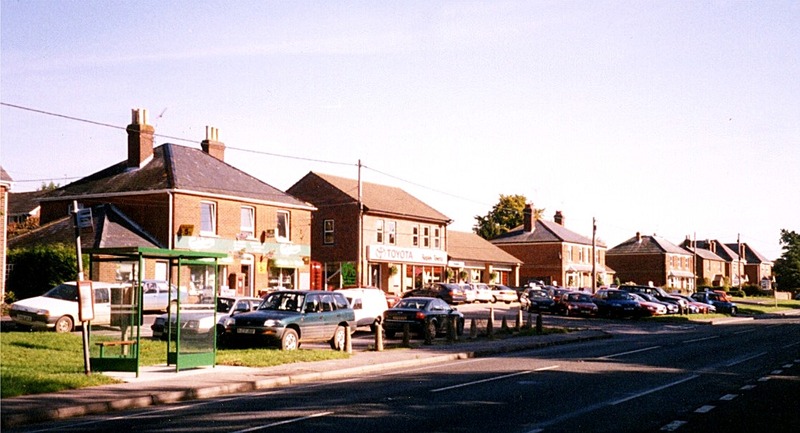 The centre of the village has the particularly good fortune to be a mile off the main A31 trunk road, and half a mile off the Petersfield Road. The centre has one shop and Post Office, the Primary School, the Church, Parish Hall, Coffee Rooms, and the Recreation Ground. A mile away on the A31 there are scattered the two pubs, the Anchor and the Chequers, the Dene Stores, the Toyota garage and Shell petrol station, and the doctors’ surgery. Further up the hill to the north are the sheds and station of the Mid-Hants Railway with its steam trains (also known as the Watercress Line) which runs from Alton to Alresford, and another garage.